Looking for your next good read? Whatever genre you love, we have just the book for you. Find books and a whole lot more in the catalog. 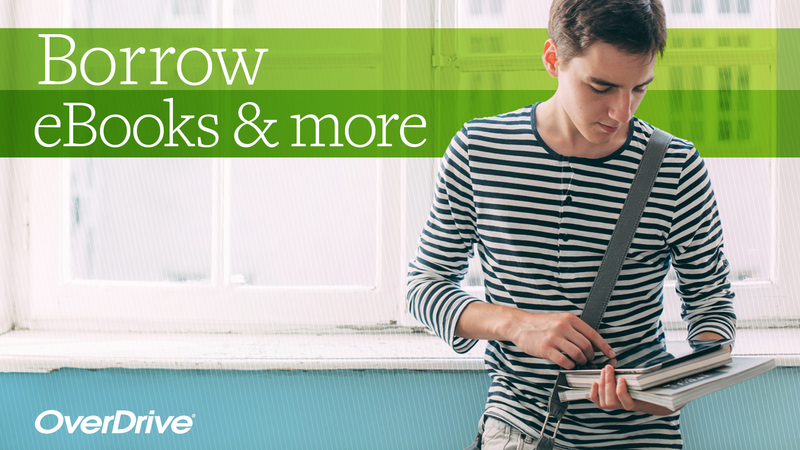 You can find all the latest, greatest books out there for your eReader. For all ages. All you need is a library card. No late fees and OK Virtual Library is always open! Search the Catalog and view your account. See what's new at the library! All your favorite resources and info are here. They might just be in a different spot. Let us know if you need help finding anything. Here's a good place to start hunting for info: The OK Dept of Library's research and discovery page. There you will find articles, magazines, health info, and data for all ages. OK Virtual Library has tons of eBooks and more for your mobile device or eReader. Take your favorite book with you. All free from your library. Our Genealogy page for a list of good websites. Call us at 918-367-6562 for login information. How much does it cost to print or fax? How long are check out times? 2 week checkout for books, movies, and audios. Be 18 years old or older. Under 18 - have a parent or guardian apply. Show an Oklahoma ID or Driver's license. You can check out 25 items on each card. There are exceptions. Limit 5 movies per card. Who may use the meeting rooms? Area community groups sponsoring educational, cultural, charitable, governmental, and civic non-profit functions. Individuals may use the small conference rooms for private study if they have not been reserved by another group. Can I use the computers? Yes! We ask you to either have a library card with us or an ID to show if you'd like to be a guest user. There is a 1 hour limit per session. But, if no one is waiting, you can have more time. © Bristow Library. All Rights Reserved.